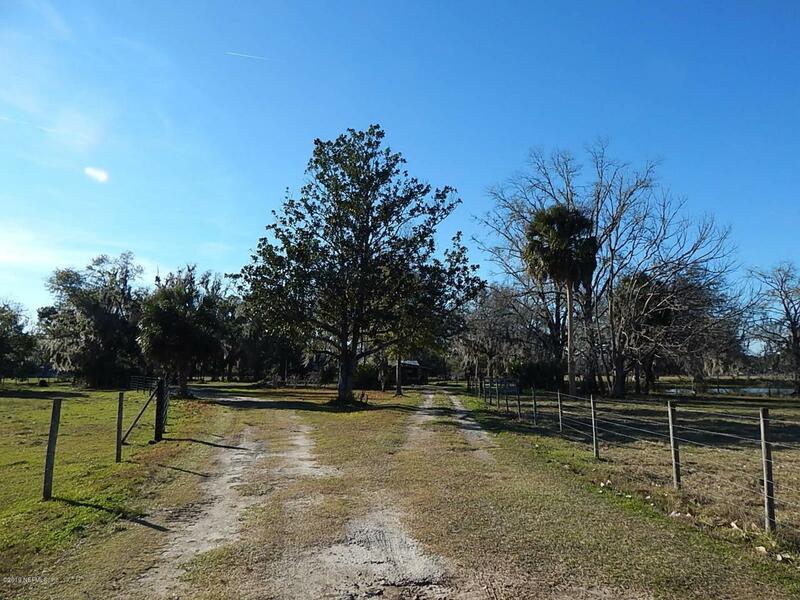 Enjoy county living with 8 acres mostly pasture, fenced & cross fenced perfect for your farm animals. Lovely three bedroom, one bath home with tile & wood flooring, separate living room, family room and dining area. Home has attached carport & detached barn-workshop large enough for a vehicle or boat to enjoy near by lakes or the St. John's River Waterfront! . Secure Storage container behind barn perfect for outdoor valuables.